"Why Us? 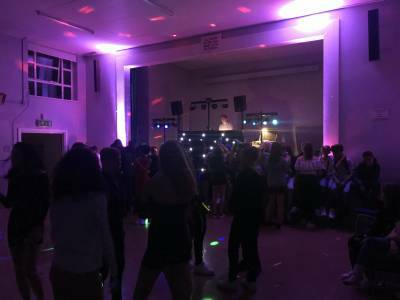 Each Event Is Bespoke And Tailored To You"
JnJ Entertainments is a mobile disco service provider based in Banstead Surrey. We offer a professional service at an extremely competitive price. What distinguishes us from other disco providers is our commitment to providing a personal bespoke service tailored to your own requirements and the brief you provide. Be assured we invest time before your event to find out and understand your music preferences..... So don't be shy, give JnJ Entertainments a try! Required by many venues, JnJ Entertainments has a current PLI policy with AMP DJ in the amount of £10 million. Also required by many venues, JnJ Entertainments has supplied satisfactory evidence of holding current PAT inspections of their equipment dated within the last 12 months. A Method Statement, outlining JnJ Entertainments&apos; Health & Safety procedure for setting up disco equipment has not been supplied. Why do people choose to book JnJ Entertainments? He rang me and discussed the quote but above everything sounded very enthusiastic and I valued he took time to ring me. Very pleasant and provided all details quickly and followed up. My granddaughters choice after she researched all DJs on offer! Local, great reviews and excellent communication. 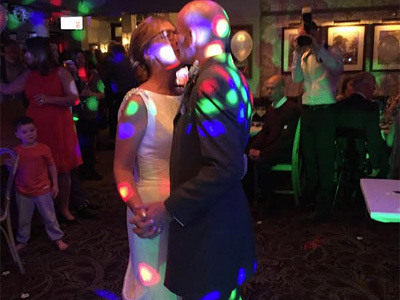 "Stuart was excellent couldn't off asked more from the night, came across bubbly, wanted to make sure myself and my guest were happy with the music again thank you very much "
"kept people dancing all night. Very happy." "Stuart is a very good DJ! At all times he made sure that we were happy with the arrangements, and once the dancing started it didn't stop. He was very pleasant and chatty, and we would be more than happy to recommend him!" "Stuart was absolutely fantastic. We had the best time and the service was exemplary! Will definitely be using Stuart again. What a wonderful person! " "What a wonderful evening, great fun which we thoroughly enjoyed. Thanks again for using our disco service." "I booked Stuart for my mums surprise 50th Birthday. I didn't really give him much to go on music wise but he read the crowd and played some really good tunes. He arrived and set up when he said he would and was a lovely man to speak to which instantly put my mind at ease. I would definitely book Stuart again "
"Thanks for the kinds words. Glad to know we met your expectations!" "I was so impressed with Stuart and will definitely recommend him and would most definitely book him again - he was professional, easy to deal with and the guests all commented on the great selection of music played. Stuart was mindful of the occasion (50th anniversary party) and the volume of the music was just perfect. Everything from the initial booking up until the event was made easy by Stuart - thank you." "Thanks for taking a moment to leave these complementary comments. We throughly enjoyed the evening!" "We were so lucky to find and book Stuart. His communication was professional and prompt. Everything about the evening was perfect. Highly recommended." "Thanks for the kinds words. Glad to know we met your expectations"
"We booked Stuart for a joint 50th birthday party and I can honestly say he was fabulous .....we gave him a brief of all the music we wanted played and the ones we didn't . The lighting system was brilliant and he made sure everything ran smoothly ....we all had an amazing night. I have no hesitation in recommending him for any kind of party." "Many thanks for your complimentory feedback and we hope to be of service again in the near future." "Stuart was a great guy, was on time, well presented, good value for money. He worked with us to ensure our event went as we hoped it would and provided his own experience. We would definitely book with JnJ Entertainments again and would highly recommend. " "It was a lovely afternoon. Thanks for inviting us to be be a part of a special and memorable day." "Stuart was fantastic, he was very professional and made sure he had a good understanding of what we wanted. Stuart made a good night brilliant. Would highly recommend him to anyone. Donna "
"Thanks for for your complimentary words. I am delighted our service met with your expectations and we thoroughly enjoyed the evening." 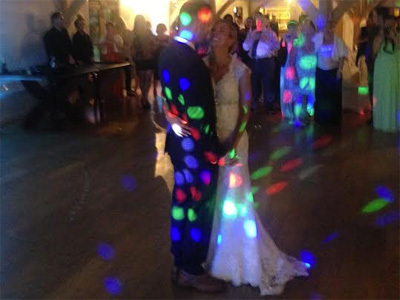 "very happy with Stuart, everything ran smoothly from booking right through to the party day. Great communication, took the party for me so didn't have to do anything. 100% will use again. Perfect!!!!!!!!!" 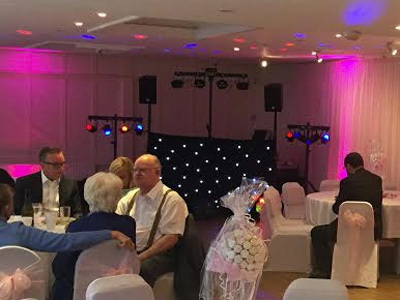 "Glad to hear our service met your expectations and many thanks for chosing us to be your mini disco provider." "Stuart was brilliant very professional he made sure all requirements was met He communicated with me and made sure all guests had a great time. He is very reasonably priced and I would use again "
"We thoroughly enjoyed the evening,thanks for yourv kind comments." "From the moment I booked Stuart (JnJ entertainments) he was really helpful and friendly. He kept me updated throughout and was easy to get hold of. He arrived on time and set up with no fuss. My guests had a great time and we really could have carried on dancing another couple of hours! Thank you!" "Thanks for your kinds comments. Fab night and shame it had to come to an end!" 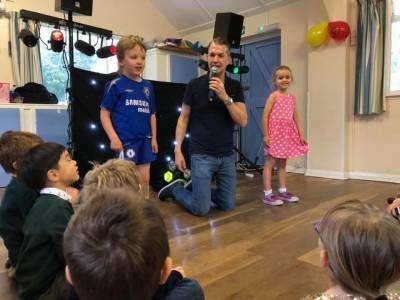 "Absolutely fantastic, we arranged an end of year party for 7/8 year olds and with siblings approximately 70 kids, he did an amazing job of keeping them dancing, entertained and generally having the best night, I would 100% highly recommend Stuart, he as on time, fun, energetic and kept so many people dancing until closing time." "Thanks for your kind words. Great evening with fantastic bunch of mini ravers." "Stuart did everything that was asked of him at the event. Feedback from the children has been good and everyone had a great time. Stuart was the cheapest quote we had and by far the best disco I have used. I will be keeping Stuarts details for my older daughters party in January and will recommend him to the school and friends." "Thanks for your kind feedback. Great to know the kids all enjoyed the party and the tunes played. I hope to be of service again in the future." "Stuart was very friendly and professional on the evening. He played all the music we requested and the party was a great success. Would definately use Stuart again and would highly recommend him." "Thanks for your kinds comments, we thoroughly enjoyed the evening." "I cannot recommend Stuart highly enough. So friendly and co-operative from the first email with our quote. Met all our various music tastes at our wedding and the dance floor was never empty! So many guests commented on how impressed they were with our DJ. Thank you!" "Thanks for the complimentary comments. It was nice to contribute a small part towards making your wedding day a memorable one." 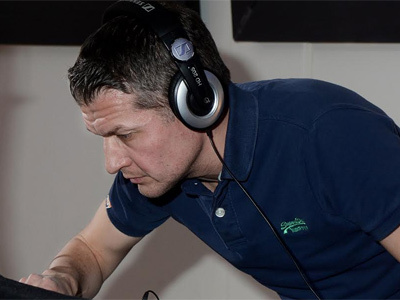 "Stuart was a superb party Dj he played the music genre requested he responded to requests and we had no down time. Dancing was continuous. His communication all along, (and this was many months as booked 5months ahead) was timely, appropriate and reassuring. Will hire again, and no hesitation to recommend. I was extremely happy with the price, the setting up flexibility and the price. Brilliant!" "Thanks for for your complimentary words. I am delighted our service met with your expectations." 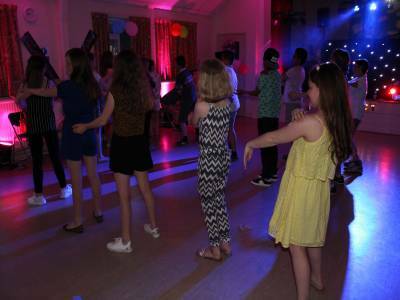 "Stuart did a great job at our party and certainly got everyone up and dancing! He used great equipment and had a wide range of music for us. He played exactly the kind of music we asked for. Would definitely recommend!" "Thoroughly enjoyed the evening, many thankscforctour complimentary feedback!" "Such a great DJ. Would highly highly recommend to anyone looking for a DJ for any reason. He listened to exactly what we wanted and read the party very well, he was also fantastic with the kids at the party." "Thanks For your kind comments. Im delighted you were pleased with our service." "The DJ was absolutely brilliant. Especially with the children. He was particularly good at getting everyone to take part." "A fun pre Christmas family party. Thanks for your complimentary comments!" "Brilliant friendly efficient defently be using Stuart again"
"A fab evening and I was more than happy to be told we scored 9.5/10 for our song selection by the birthday girls! Hope to see you again soon!" "Stuart was professional, polite, helpful & friendly. From his first contact via need a disco through to packing up at the end of the evening he made sure we were 100% happy wth his service. He replied promptly to all my emails and liaised with me to plan the evening to our satisfaction. It was an 80's themed fancy dress birthday party so little touches, like playing Stand & Deliver for our Adam Ant and Ghostbsters Theme for our Ghostbuster, went down a storm with our guests! I would highly recommend him to anyone, in fact I've already decided to book him for my daughters wedding!" "Thanks for the great feedback. It was fantastic themed 80s evening which we thoroughly enjoyed. We look forward to the opportunity to play for you again." "He was fine, very friendly etc. he met me at the venue weeks in advance. One small shortcoming was I had to provide him with some of the tunes on my playlist." "We had a enjoyable evening entertaining your guests. We agreed you would download (instead of paying a little extra) the songs I had did not have on your early chill out playlist section as this included a number personal less familiar indie song selections." Passion to perform, it is all about the music! If you are contacting JnJ Entertainments about an event, it's always a good idea to include the DATE, LOCATION, EVENT TYPE, AGE GROUP and TIMINGS to speed things up!